You are here:Home>Car Accident Lawyer>The Safest Highway Lanes, According to Science? The Safest Highway Lanes, According to Science? Car insurance industry estimates predict that the average driver will file a claim for a collision once every 17.9 years. Many of these drivers will need a car accident lawyer. These claims tend to follow patterns: drivers are often young, and factors such as speeding, inattention, and adverse weather conditions play a huge role in accident likelihood. But did you know that positioning yourself in the wrong lane can also put you at risk? Keep reading to learn more about collisions in the left, center, and right lanes. Accident descriptions from the National Highway Traffic Safety Administration’s National Automotive Sampling System mention the right lane as the source of accidents far more often than the center or left lane. Of approximately 100,000 accident reports examined, a whopping 46 percent mention the right lane, compared to 37 percent of mentions for the center and a mere 17 percent for the left lane. Why Is the Right Lane So Unsafe? Cars typically travel slower in the right lane, so why does this segment of the highway seem to prompt more accidents? Some experts believe the left lane is safer simply because cars can only enter from the right and exit from the left. In the center lane, cars enter and exit from both directions. Right lanes involve not only drivers arriving from the center lane, but also those accelerating to enter from highway entrances-or decelerating to exit. These sudden changes can prompt accidents. Take the above statistics with a grain of salt; what constitutes a ‘safe’ lane can differ dramatically based on road style, traffic patterns, and current conditions. For example: while the aforementioned data indicates that most accidents involve the right or center lane, a lot depends on the highway divider or lack thereof. The left lane is a lot safer with a divider; without one, drivers may swerve into oncoming traffic and suffer deadly head-on collisions. No matter which lane sparked your McKinney car accident, it imperative that you seek a car accident lawyer. 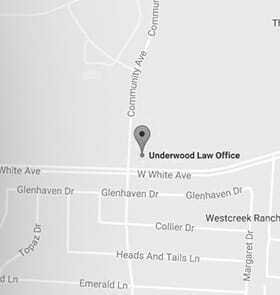 Contact the Underwood Law Office at 469-573-4558 to learn more about your potential for recovering damages. What Happens If I Was Part At Fault For Auto Accident in Texas? How Much Money Can I Recover After a Car Accident?